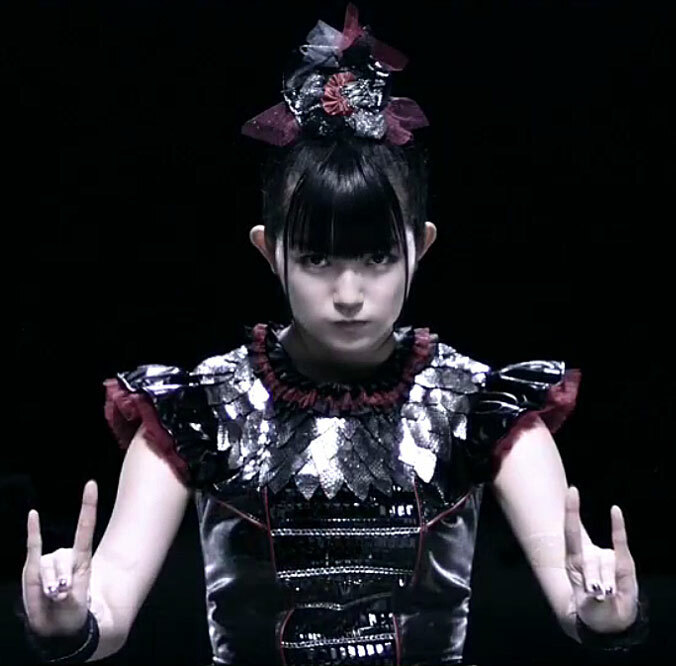 The much-anticipated music video for Babymetal‘s new single “Karate” has finally been released… and it’s pretty awesome actually, in a live-action-Anime kinda-way! Not quite as cute/crazy as their earlier promos, but the more serious and sparse badassery is in-keeping with the subject matter of the song (as far as I can tell! ), and there are some cool FX throughout the “fight” sequences. SPOILER: Highlights include Moametal catching a fly with her fingers Mister-Miyagi-style, Yuimetal breaking the camera lens with shards of kicked sticks, and Su-Metal smashing a stack of bricks with her bare fist… plus lots of tightly co-ordinated dance moves, of course! This entry was posted in Rants about Music and tagged Babymetal, Karate. Bookmark the permalink.